Moules frites – a summer seafood specialty Belgians look forward to all year long. At their best when plucked fresh from the North Sea, these yummy shellfish are cooked to perfection at the small country’s seaside, though some big city brasseries certainly hold their own. Radiating a somewhat dingy vibe that has a certain kind of tourist running for the hills, Kombuis is often walked past without a second glance by unsuspecting Ostend visitors. Yet locals and those in the know seek it out in search of the iconic hole in the wall that’s been serving legendary mussels for over 40 years. 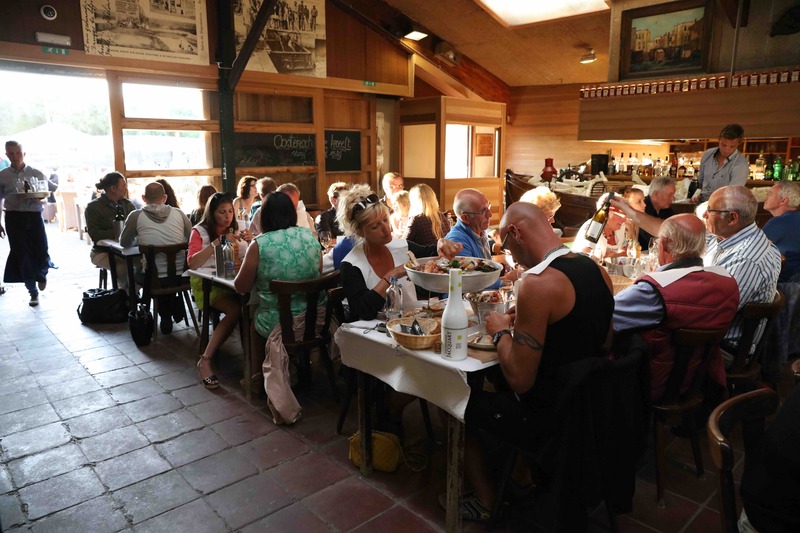 Unassuming, with rows of brown tables covered with white paper tablecloths and walls dressed up in kitschy paintings, mussel lovers come from afar for its moules à la Belge and moules marinière. Friture Kombuis is a testament to why you should never judge a book by its cover – you might just miss out on the best mussels in all of the land. Mussel fanatics who feel like tasting the shelled delicacy prepared in more exotic ways are sure to get their money’s worth at De Mosselbeurs (or ‘the mussels fair’). Walking into the establishment decorated with a black-and-white checkered floor and framed old pictures honoring men of the sea, it’s a surprise to find untraditional dishes such as oriental-style or Thai-style mussels and even a variant with goat cheese, apple and honey. The over 15 different preparations on the menu, of course, still include the ‘nature’ and ‘white wine’ classics for those feeling less adventurous. Named after the renowned Renaissance painter and the charming Bruges square it sits on, Jan Van Eyck is an intimate establishment with a big reputation. The latter has a lot to do with the quality of its mussels, which are finger-licking delicious and are only served during actual mussel season. Luck has it, then, that this usually falls smack in the middle of summer when Jan Van Eyck boasts a pleasant terrace on one of the medieval city’s most beloved and historically relevant squares. It doesn’t get much fresher when your dinner makes it from the ocean to your plate in a record time of 12 hours. Home to all the treasured crustaceans the North Sea has to offer, Oesterput (literally ‘the oyster pit’) is a seafood hallmark on the Belgian coast. Once a warehouse for mussels and oysters, the family-run establishment has just introduced its fifth generation and is still going strong after more than 130 years. Guests line up to dine at their large family-style tables, and owner and pater familias Piet Devriendt has even been introducing lobster burgers to festivals like WECANDANCE and Tomorrowland. One big homage to the Flemish kitchen of yesteryear – that’s De Bomma (the ‘Grannie’) on the Suikerrui in the historic heart of Antwerp. 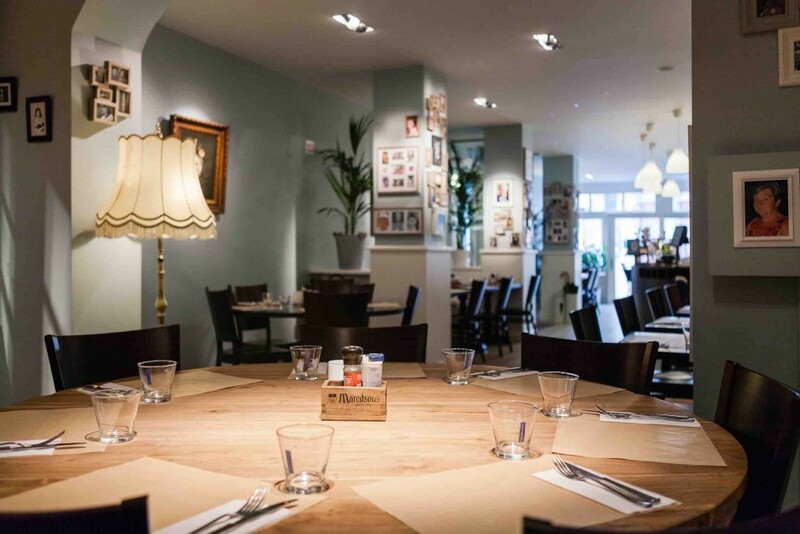 Decorated with tons of framed pictures of actual grandmothers – you’re very welcome to bring your own – the affordable eatery specializes in classic dishes such as carbonnade flamande, vol-au-vent, and, of course, moules frites. The mussels here are simple yet delicious, prepared the classic way in white wine, cream or garlic and served by waiters in granny aprons for an extra homey touch. Feel free to ignore the indication in its name since Friture René in the commune of Anderlecht is not a friterie, but rather the ultimate traditional brasserie. Red-checkered tablecloths, a firm, marble-topped wooden bar, and an unpretentious atmosphere all come together to say that this is a place where traditional Belgian cuisine is adored most of all. Essential among the entrées is a helping of moules parquée, or raw mussels, a typical Brussels delicacy served in the same arrangement as oysters, with homemade mustard vinaigrette for dipping. 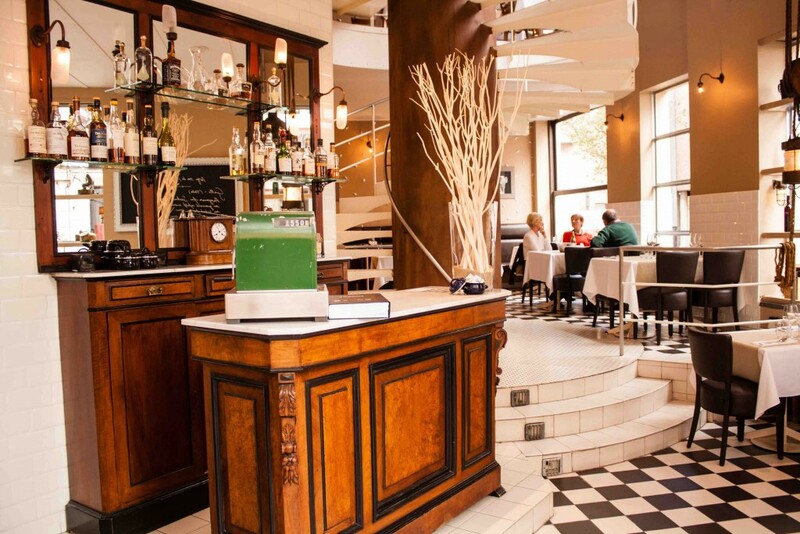 For more on the best mussels spots in Brussels, check out our local guide.